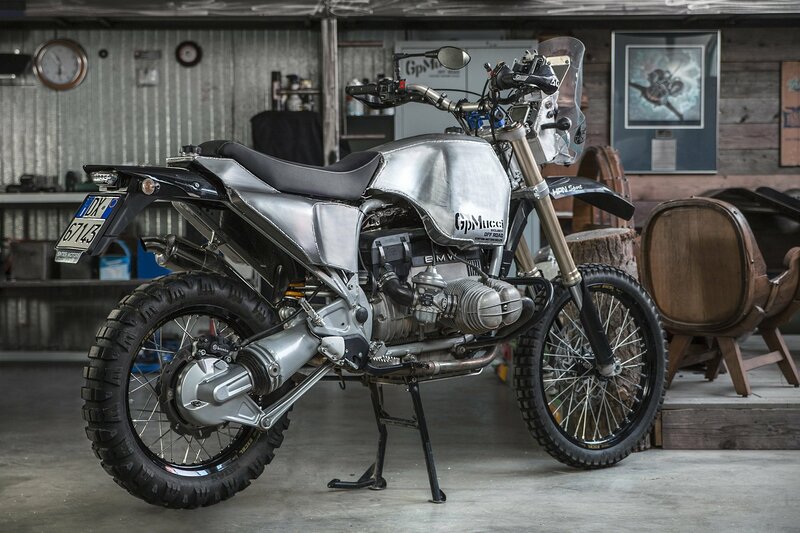 When the owner of this HPN bike approached Gian Paolo Mucci and asked him what he would do to modify it, the custom motorcycle builder gave an unexpected answer. Already fantastic without any customization, the bike didn’t really need any changes. 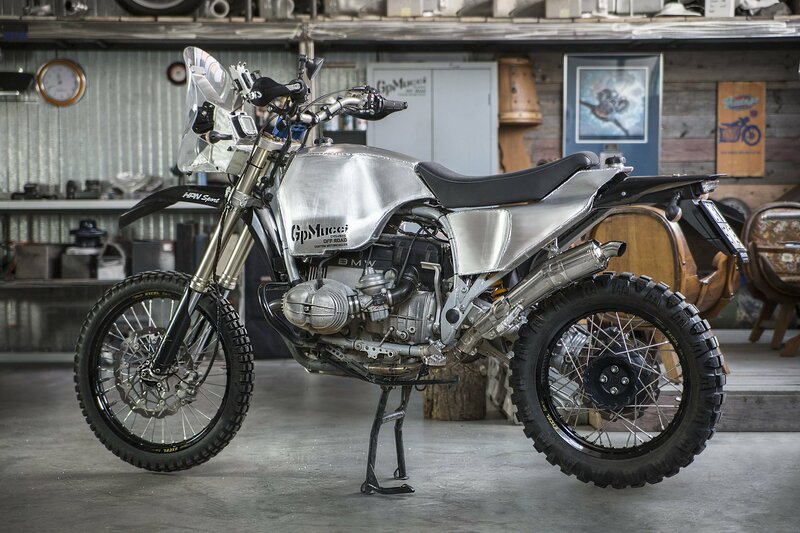 Upon further insistence, GpMucci realized that he could modernize the classic motorcycle and still maintain its character. 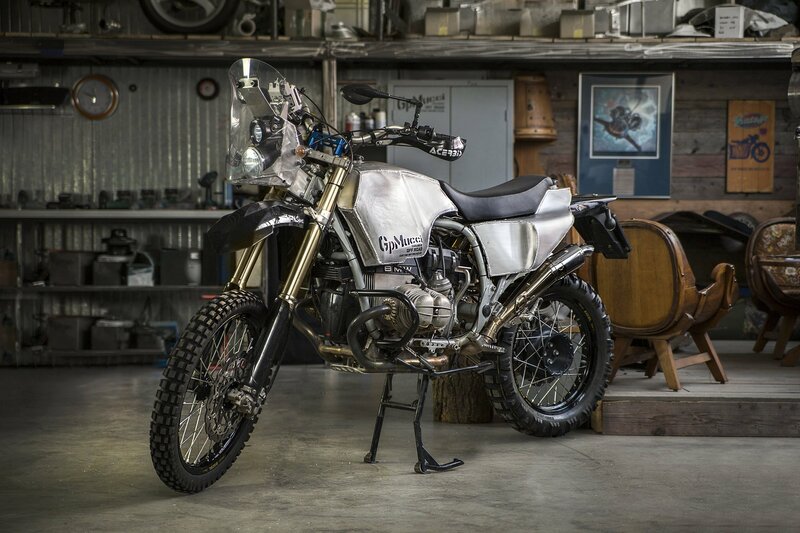 Relying on years of experience building African Twin and other enduro bikes, Gian Paolo Mucci started creating a two-wheeled gem. The BMW HPN 821 has a fierce look and a dynamic silhouette, enhanced by the addition of a rounded front. Curved lines complement the slim build, while clever modifications allow the soul of the bike to shine through. The removal of the original R80 fuel tank which covered a section of the frame provided the opportunity to uncover the bike’s character. The exposed upper frame on the front and back highlight the curvature of the bike, while the new aluminum fuel tank brings together soft curves and sharper angles. BMW HPN 821 also features new tanks at the rear and a powerful 85hp engine. The suspension can handle on and off-road riding with ease. A black leather saddle and a light silver/black palette complete the build. It’s a lightweight, fast, and powerful bike that turns heads with a stylish but also fierce design. Photographs© Rachele Alaimo.